Wildfire (oil on gallery-wrapped canvas). 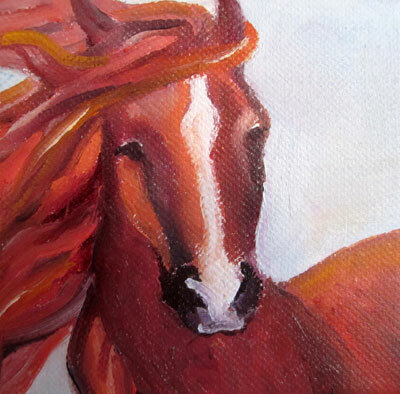 A small painting of Comet, a Tennessee Walker that I used to have. He was a big, goofy, sweet horse. Wish that I hadn’t sold him. This entry was posted in Uncategorized and tagged Artpony, Comet, equine art, horse, horse painting, Linda Kay Thomas, Linda Snider-Ward, Louisiana artist, Second Satuday, Tennesse Walker painting, the River Gallery. Bookmark the permalink.